Komura Keizo commanded heavy cruiser Chikuma in the Pearl Harbor attack and at the Battle of Midway. He also participated in the Battle of the Santa Cruz Islands. 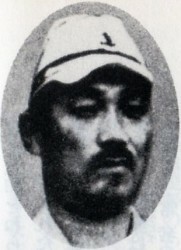 After the battle of the Philippine Sea, Komura was promoted to rear admiral and became chief of staff to Ozawa at the Battle of Leyte Gulf. He subsequently took command of Destroyer Squadron 2. Komura opposed the final suicidal voyage of Yamato during the Okinawa campaign, arguing that the men and guns could be put to better use ashore in the final defense of the homeland. When this idea was rejected, he argued for using the Yamato and her escorts as commerce raiders. This too was rejected, but Komura survived the sinking of his flagship, the light cruiser Yahagi.